does it support launchers and lockers??? Will the Explorer get the ICS update? Will it be capable of handling it? I had a plan to buy samsung galaxy. however, one of my friend suggested me to go for HTC explorer. Its really awesome mobile phone. In term of download, pic clearity, touch sense every thing is awesome in it. facebook application running very slow wifi connection is okay .... what is the solution? 1.) the processor is a 600Mhz ARM Cortex-A5 which is a advanced transistor architecture. Simply put, it is much superior to those of ARM11 processors whic u get in samsung galaxy y, lg optimus net, most nokia phones, etc. 5.) only smartphone with faster 3g speed with HSDPA-14.4 Mbps in this price bracket. 6.) better touchscreen response and better multitasking due to the superior cpu. 7.) a adreno 200 gpu to add to the goodness of this smartphone. Anonymous, 09 Mar 2012when I call some one there is a image of a bug I realy dont know how to change it... Duffer!!!! that's not bug, its android. Anonymous, 09 Mar 2012when I call some one there is a image of a bug I realy dont know how to change it... go to contacts and edit the person pic by replacing with a suitable pic or simply remove the existing pic. AnonD-2180, 09 Mar 2012which one is a better option? a mobile with CPU-600mhz & GPU-200mhz or ... moreu should definitely go for htc explorer. U must realise that it is 600Mhz ARM Cortex-A5 processor which is a superior processor class as compared to a lower 1Ghz ARM 11 processors. Plus with a added adreno 200 gpu, u wont experience bottleneck as encountered in many cheap processors even though it may be 1Ghz. If any doubts or clarification regarding arm cortex-A5 processors pliz search in wiki or ask me. Simply put, this is a steal for the money it cost. Aran, 08 Mar 2012Headset included, but packaged separately out of the box. Just ask for from the retailer. They... moreSo its included, but they charge extra which they are not supposed to? And can Sense UI be disabled? ashrafmalik, 07 Mar 2012hi guys. this cell is just awesome its almost 3 months using this cell n I'm v much satisfi... moreheya buddie..! 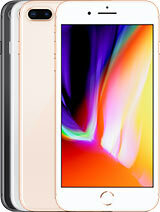 :)..
Actually..m seeking for a perfect touch handset within the price limit of 9000..as this much is mah total budget..! Currently m using Nokia E63...but m getting bored of having it..! :/..
From last 2 weeks m getting fond of buying htc explorer...! :)..but..
while considering the commentz on this set...m a li'le bit confused...! But i felt a litlle bit satisfied by reading ur comment...soo...can uh give meh a brief account of knowledge abt this set..?? On my part...m crazy abt listening to music for atleast 1 hr continously...surfing on net...nd ofcourse i spend tym on facebook even... ;).. Moreover...m a professional image edittor...m super best at editting pics n so i like downloading new apps. for the same...!! Soo... Can uh just give me a true advise on behalf of mah above commitment..? ..
uh can answer this quess. in this comment box only..! :)..
How to change the back body of htc explorer with golden strip? Automatically press button & show notification bar many times?? automatically show notification bar after lock & unlock its work but after some time same things happen. Is any key press automatically ?? nd other LG, Samsung, Sony UI are nothing over HTC Sense. I made my mind to buy Explorer nd now im here to see d problems nd solve them before i get this mobile. 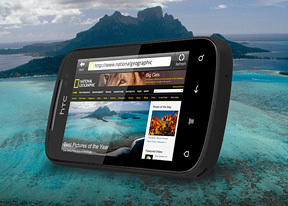 Total of 7320 user reviews and opinions for HTC Explorer.